Jasper gemstone music themed jewellery makes unique music gifts! The distinctive veins and patches of jasper gemstones are carefully chosen set in treble clef bails to create these timeless Jasper music themed necklaces. No two pieces of jasper are identical so each pendant from TAF Music Gifts is never to be repeated unique piece. The prices of musical necklaces vary depending on the individual Jasper stone and the material of the wires. We currently have 2 jasper necklaces for you to choose from. Click on an image below for details of the individual piece. Some interesting gemstone info: Jasper is a relative of Agate, a form of Chalcedony, a semi-precious, opaque gemstone from the quartz family. The beauty of Jasper is enhanced by its distinctive veins and patches, lending itself to the creation of some unique pieces of jewellery and is loved by many. Jasper has been popular as a gemstone for thousands of years. They may come in a range of colours but some are dyed to the liking of individual. You may also be interested in other music themed jewellery products such as earrings, rings. All Jasper necklaces, and other jewellery and non-jewellery products are designed and handmade in Herefordshire UK workshop. They make great music gifts for musicians, family and friends. Products and colours may vary slightly from the picture. These sites advertise second-hand musical instruments for sale around Britain. 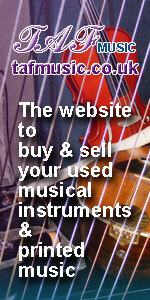 Visit these sites to advertise an instrument for sale or to see what is currently available.